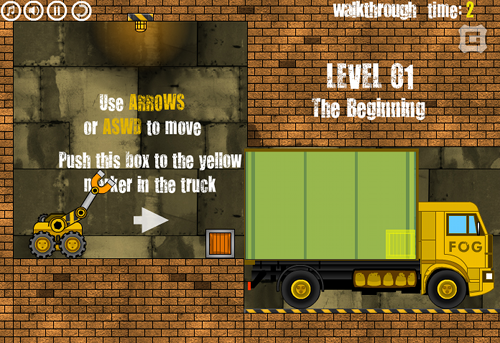 Description Load the lorries with your amazing magnetic forklift truck! Stack everything in the right position, or the driver won't be pleased! With 20 challenging levels and excellent physics, you'll have your work set out for you! Controls Move left/right - A/D or left/right arrow keys Control arm - Use mouse to direct, left click to magnetise the arm. totaly awesome game, really like it!